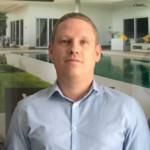 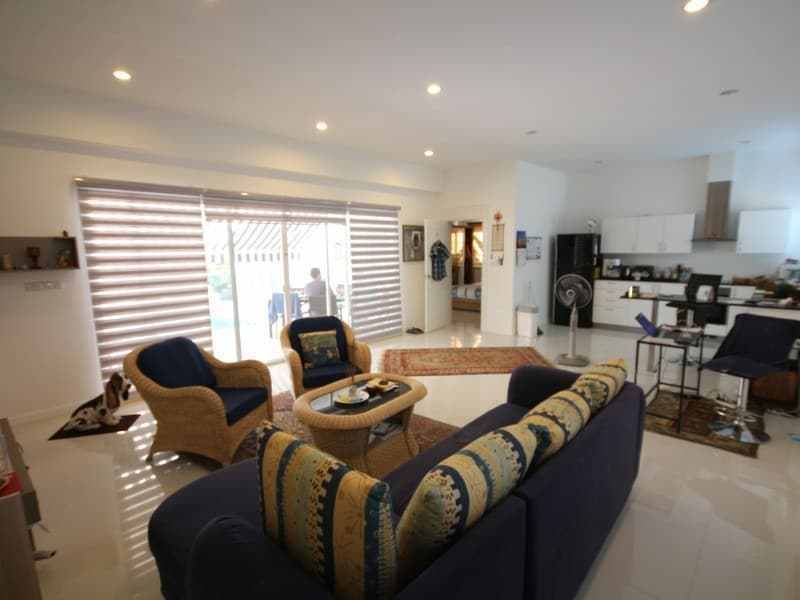 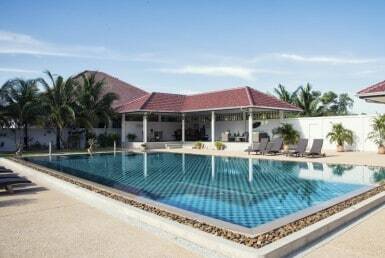 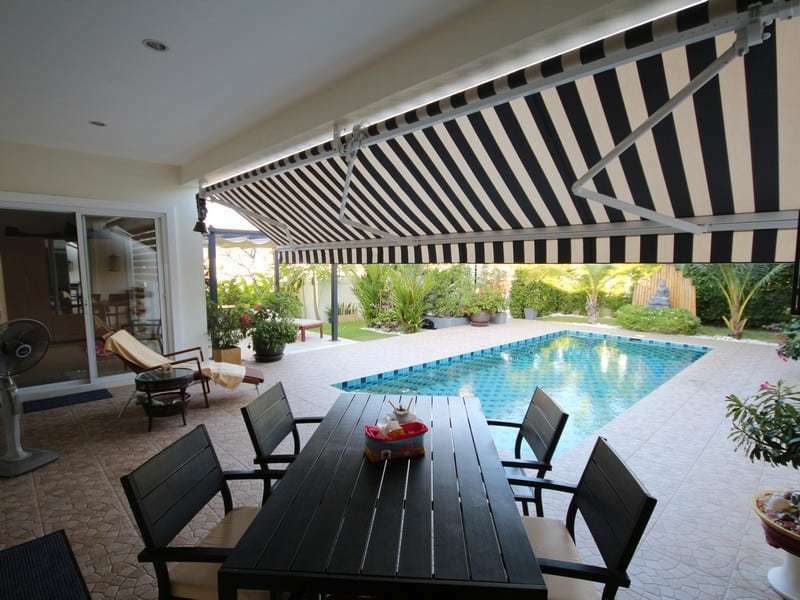 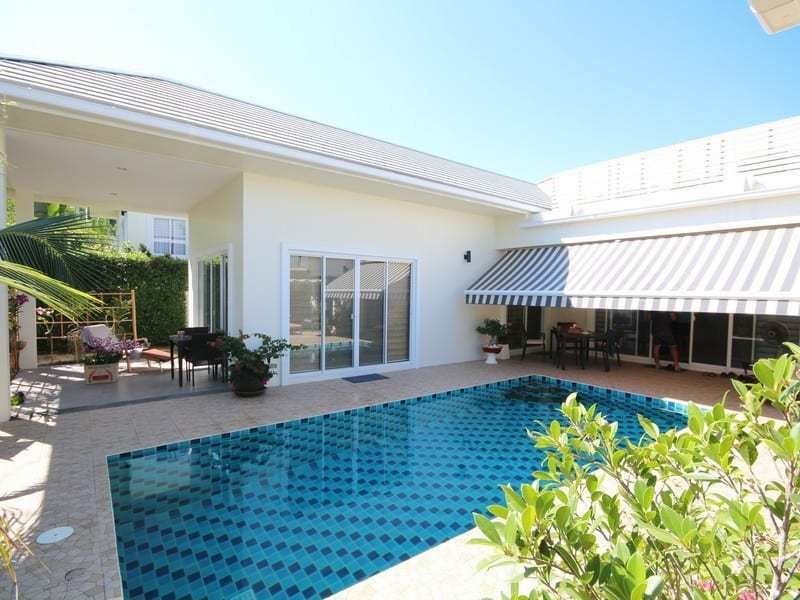 Pool villa for sale Hua Hin south with all furniture included so ready to move in. 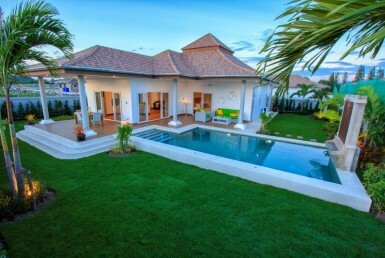 A 3 Bedroom and 3 Bathroom luxury villa with swimming pool. 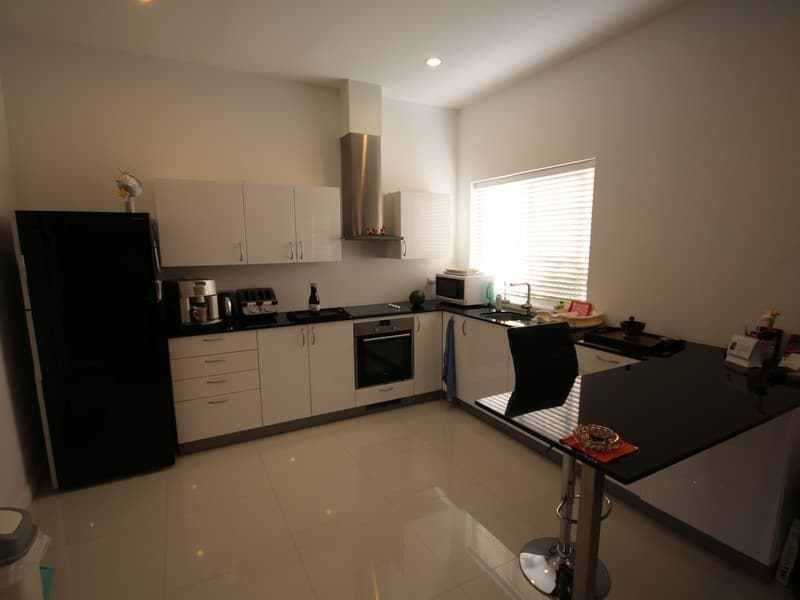 The modern Euro style kitchen has modern appliances, breakfast bar also granite work surfaces. 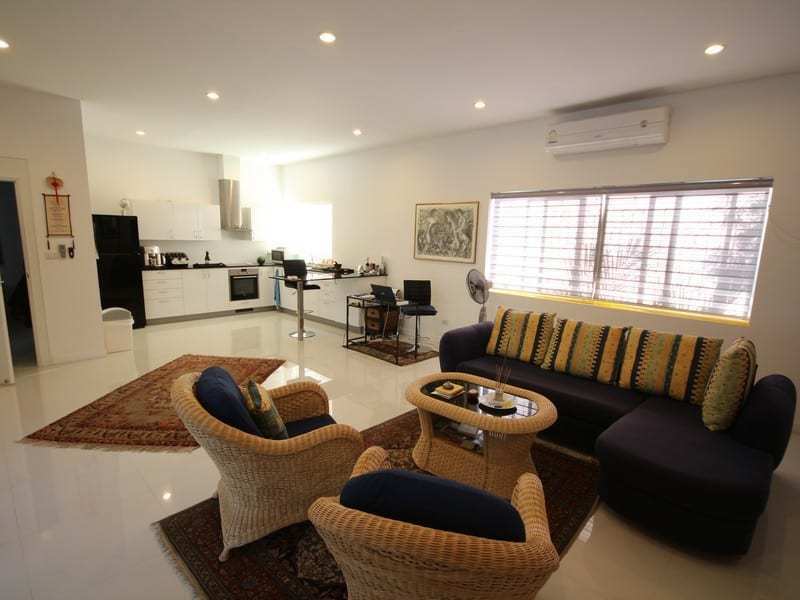 The main living area is in an open plan style layout with the lounge area adjacent to the kitchen. 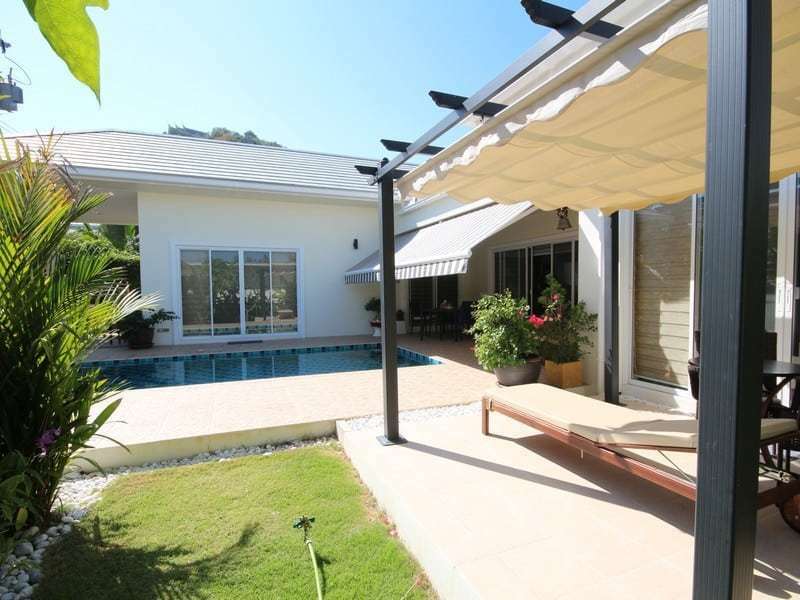 There are sliding doors from the living area that lead to the garden. 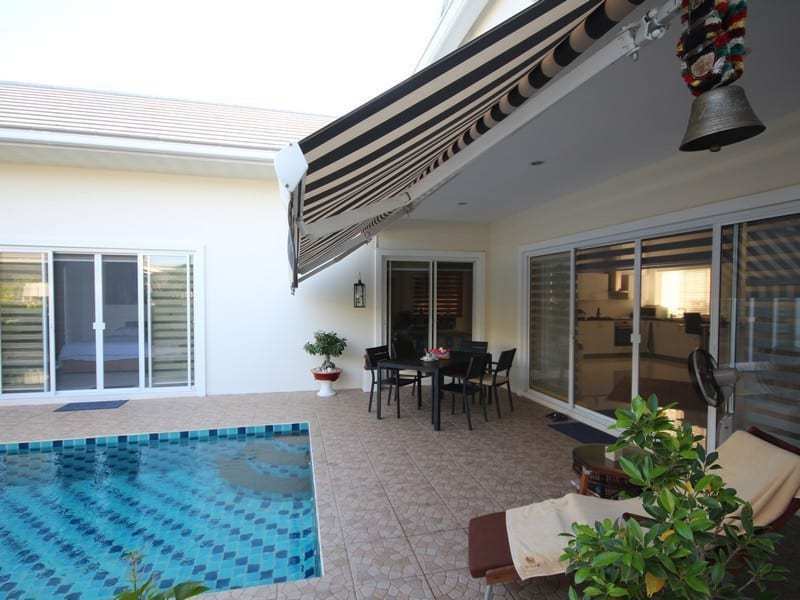 All bedrooms are a good size also the master bedroom has doors leading directly out to the pool area. 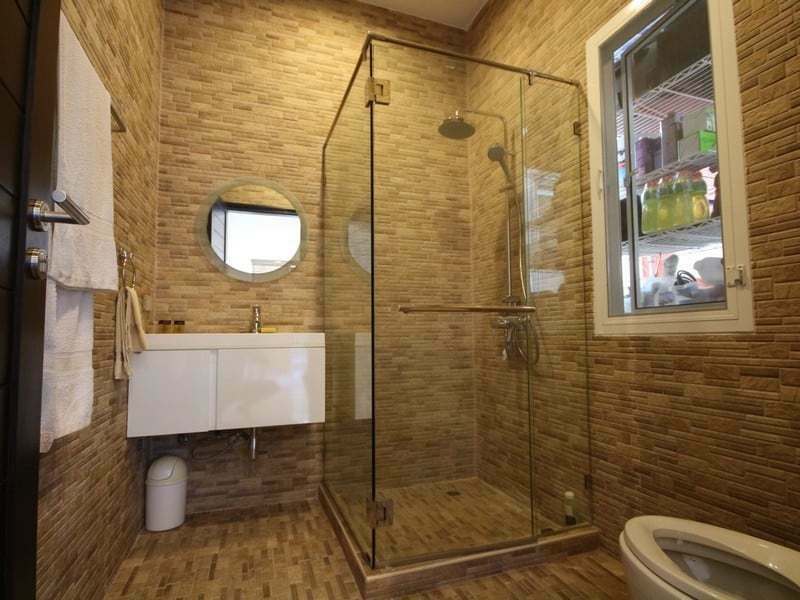 The bathrooms are all functional and have been decorated beautifully. 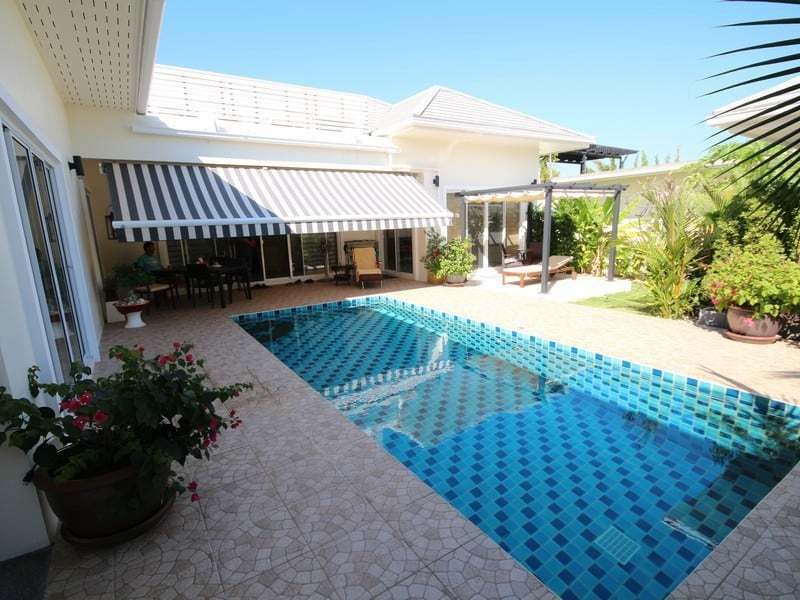 Outside the large swimming pool is next to the covered terrace area and is set in a large 400 square meter plot. 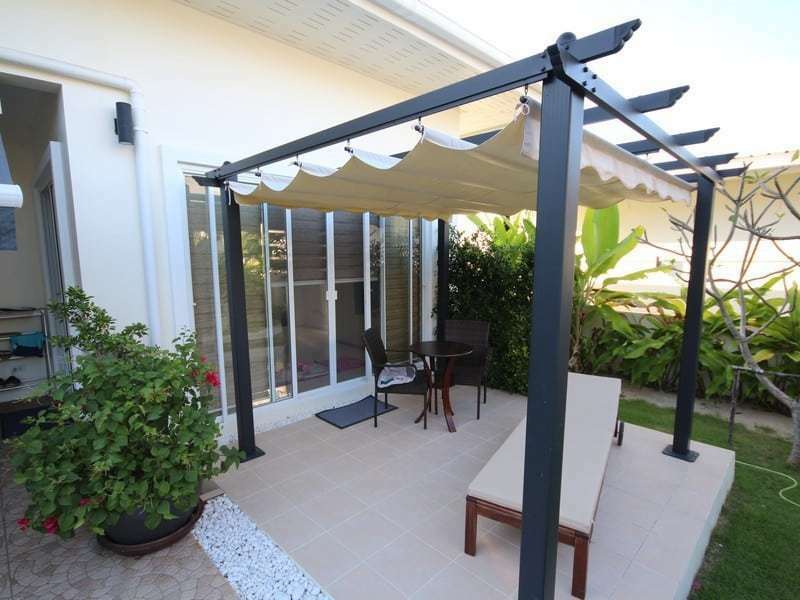 The walled garden has been very well kept and furthermore has a car port at the front giving off road parking. 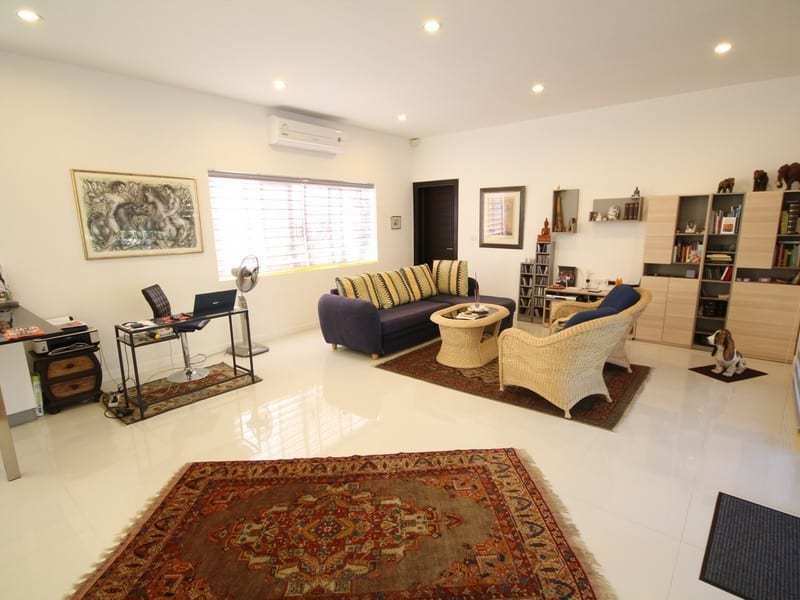 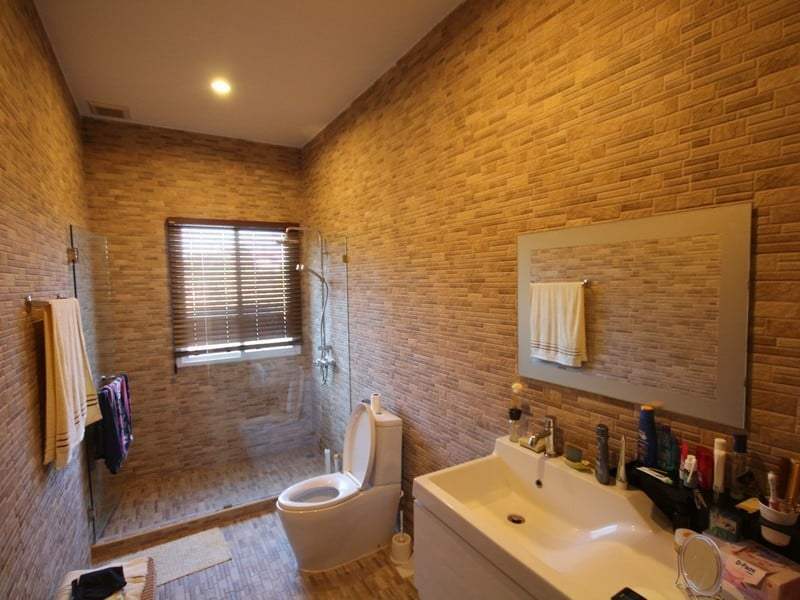 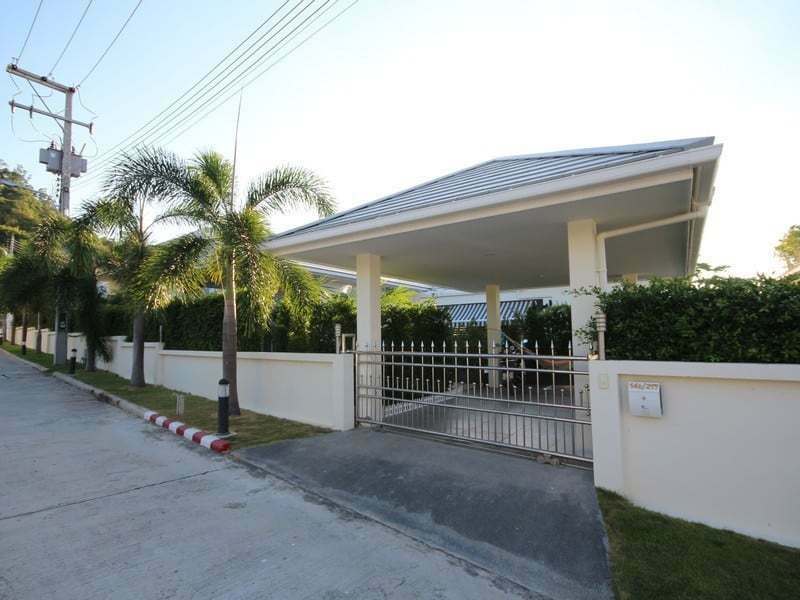 This house is only a 15 minute drive from the centre of Hua Hin and it’s amenities.